The Little Books of Tips series is a collection of books, each 50 tips in size, delivering wisdom and advice on a whole range of popular subjects covering food, gardening, craft, sports and hobbies. A wok has a million uses in a kitchen. It can be adapted to most other kinds of cooking besides the good old stir-fry. You can also deep-fry, steam, boil and stew ingredients, and make anything from curries, soups and slow-braised meat dishes to bhajis and desserts. Discover the wok world in this book of tips and you’ll learn how to choose, prepare and clean your wok as well as all the different brilliant ways to cook with it. 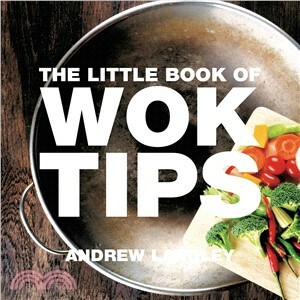 Andrew Langley is a knowledgeable food and drink writer and the author of many Little Books of Tips. He has written books on all manner of food and drink subjects and is the editor of the highly regarded anthology of the writings of the legendary Victorian chef Alexis Soyer.